The College of Engineering complex at Kansas State University had reached its tipping point. The current space was filled to capacity and in desperate need of additional space. 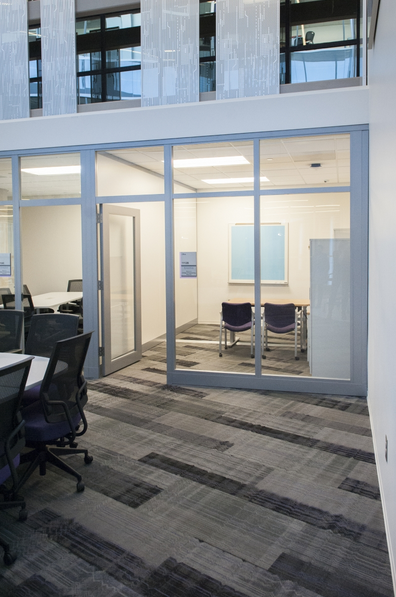 In order for the university to provide ample space for students and faculty to work, learn and research, it set out to build an expansive addition. Not only would it supplement the existing infrastructure, the new building would meet the growth of a projected 750 additional students over the next 10 years. 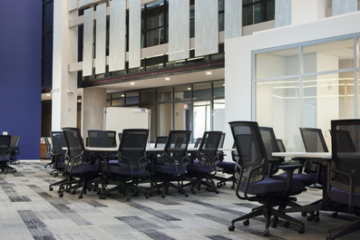 The resulting design incorporated multiple specialized spaces: education space for prominent design teams, working/teaching laboratory environments, collaborative research space, and dedicated space for college-level student organizations. 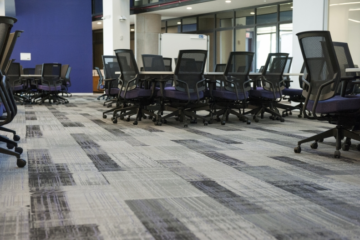 Finishes, including over 4,500 square yards of Tandus carpet tile installed by the expert team at Image Flooring LLC, an INSTALL Warranty Contractor, help to encourage the focus on collaboration and an integrated culture. For Image Flooring, Engineering Hall was an exciting venture with general contractor McCown Gordon. 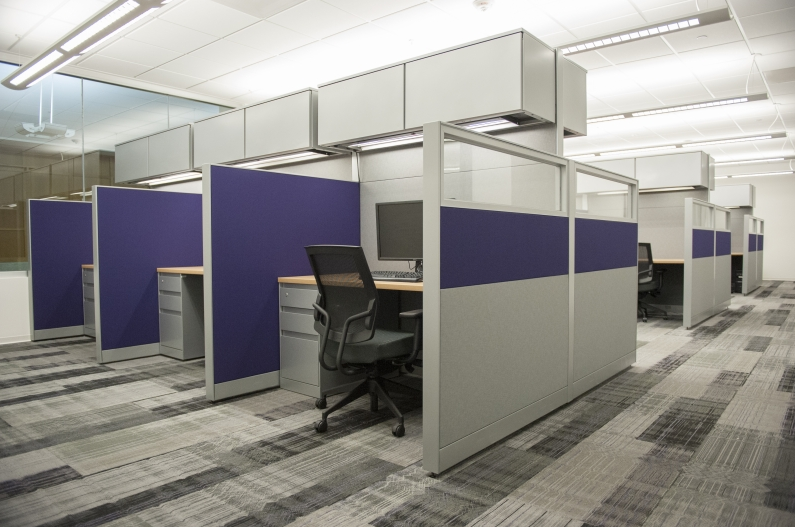 The two companies had never worked together, and the addition at KSU proved to be a challenging yet rewarding first outing. 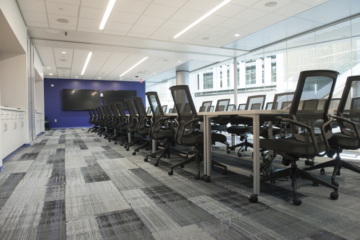 Like many large-scale commercial projects, Image Flooring’s timeline and installation schedule revolved around other building trades. The initial flooring installation was scheduled early in advance of other critical milestones, as these items had to be addressed before installation could take place. Additionally, parts of the new facility were tied into the existing space. The installation team had to do a lot of self-leveling and build-up work to accommodate transitional flooring. Since the new building was higher than the existing structure by nearly three inches, Image Flooring built sealed forms where the two buildings came together. Because this area was open to the space below, the forms were necessary to prevent leveling material from leaking to the lower floors. A self-leveling compound (Ardex K15) was used to ensure a successful, failure-free install. The transitional space issue along with a tight timeline, significant epoxy work and ongoing concrete polishing, meant that every possible minute of installation had to be used to its full potential. Once the schedule and preparation issues were resolved, the installation went smoothly and the university, general contractor, architect and end users were extremely pleased. 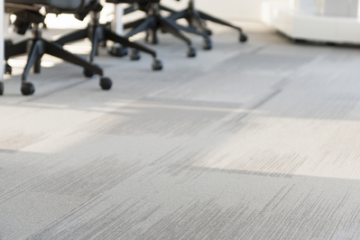 Image Flooring’s installation team also received praise for its willingness to work around other schedules and accommodate other building trades. 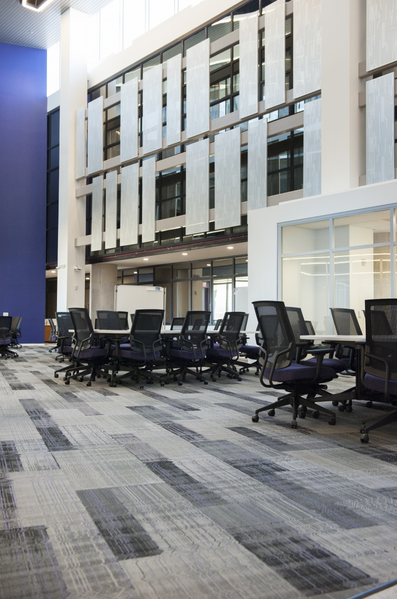 Engineering Hall offers approximately 108,000-square feet of instructional, research and office space in the heart of the university’s engineering campus. 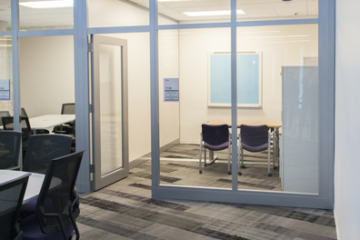 The project has consolidated functions currently dispersed over multiple locations, to create a flexible environment to inspire and support interdisciplinary learning and collaboration. The resulting facility expansion has encouraged collaboration, discovery, and innovation in a flexible and dynamic facility.